View cart “Pancakes Chocolate Raspberry” has been added to your cart. 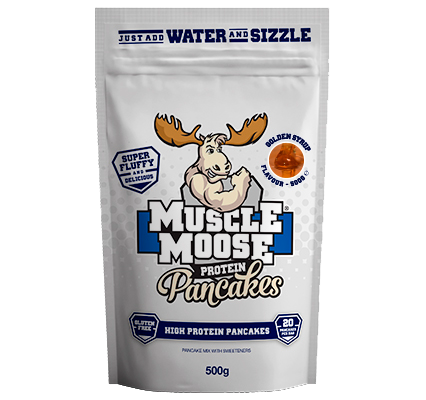 Muscle Moose Protein Pancakes are what breakfast was invented for. These extra fluffy, easy to make pancakes are a taste sensation. The world is your oyster when it comes to toppings – fresh berries, banana, peanut butter and more (not oyster though, no one wants that for breakfast!) – a perfect way to start your day!